unless you are easily offended. Don't read it if you are easily offended because some of the comments are dismissive and obnoxious when discussing religious conservatives. 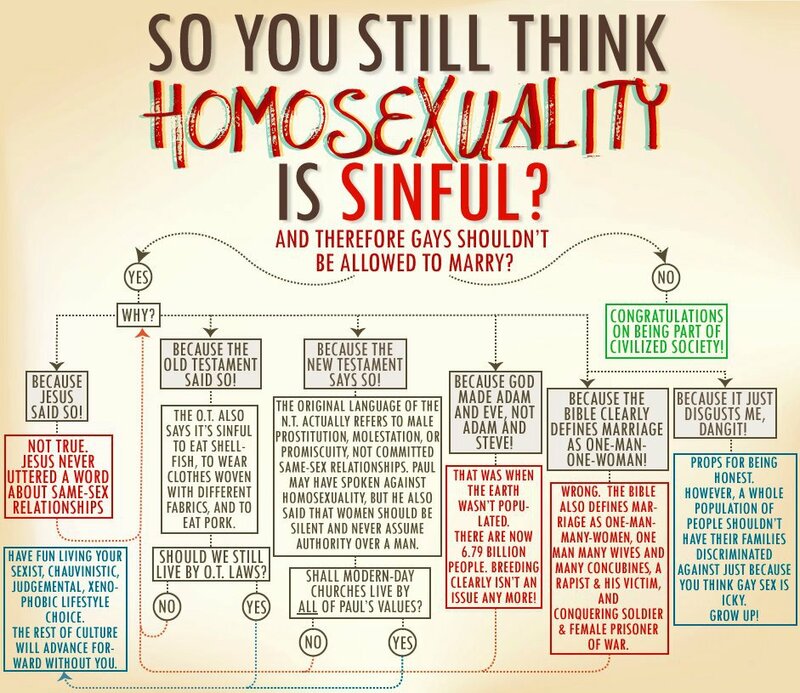 In order to provide balance, we would like to add a flow sheet to this essay that explains the religiously conservative viewpoint on homosexual orientation. We have been unsuccessful finding one. If you are aware of such a flow sheet, please email the URL to us. You can use the blue "CONTACT US" link below.